Every day, in countries around the planet, government employees are working on plans that will reduce greenhouse emissions, as each nation promised to do at the 2015 United Nations Climate Change Conference in Paris. Here in Washington? No one has such an assignment. Global leadership used to be an American staple. In fact, we were in the vanguard a couple of years ago when 195 nations assembled in Paris to finalize the climate change accord. In a 180-degree reversal, President Donald Trump opted to withdraw from this pact. But since the rules do not allow that withdrawal to become official until November 4, 2020, there is time for our government to regain its leadership role as the world struggles to meet this fundamental challenge. And the President can do so in a way that strengthens the global competitiveness of the U.S. economy. How? Ask almost any economist what is the quickest, most efficient and least expensive way to reduce greenhouse gas emissions, and he or she will say, “a carbon tax.” Carbon has benefited from a subsidy from day one. Yes, fossil fuels have played a critical role in U.S. prosperity, but they also have driven up the rates and severity of lung cancer, asthma, heart disease and other ailments. In addition, they are the leading cause of climate change, which scientists have concluded is running up the frequency and intensity of wildfires, superstorms and other natural disasters. Yet the price we pay for carbon does not cover any of these costs; all of us pick up that tab. If the price of carbon incorporated such costs, then clean energy sources such as the wind, the sun and nuclear energy could compete on a level playing field. It is true that tax incentives have helped renewable sources develop, and loan guarantees have helped nuclear energy, but each has had less help than fossil fuels have received in direct and indirect subsidies. And yet despite the unlevel playing field, renewables have been a tremendous source of job growth in recent years. Solar now employs over 260,000 in the United States, enjoying a double-digit rate of growth in recent years, and wind energy employs over 100,000. Wind already provides 30 percent of Kansas’ electricity. Though Governor Sam Brownback is a longtime member of the GOP’s right flank, he is a true believer in renewables. Wind energy has drawn $7 billion in capital investment to the state and supports, directly or indirectly, 5,000 to 6,000 jobs. Farther south, on the edge of the oil-rich Permian Basin in Texas, the “Welcome to Sweetwater” sign is shaped like a wind turbine. 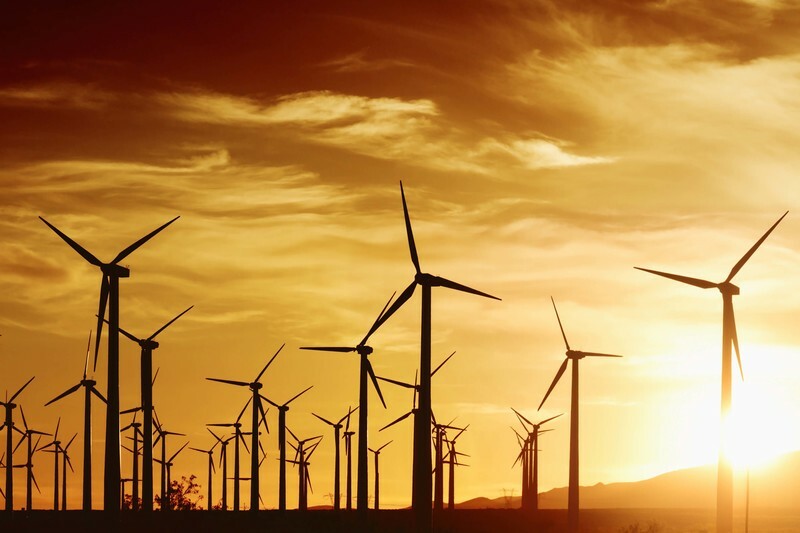 With boosts from a couple of governors named Bush and Perry, Texas is now leading the nation in producing wind energy. Its 12,000 turbines already produce 15 percent of the state’s electricity. In an increasingly complex world, a carbon fee is refreshingly simple. If Congress were to adopt the fee as envisioned by the nonprofit Partnership for Responsible Growth, the U.S. Treasury would impose the levy on all fossil fuels—coal, oil and natural gas—when they leave the well or mine or enter the refinery. The added cost no doubt would be passed along the line to the end user, like almost any cost of doing business. So to compensate low- and middle-income households for slightly higher energy bills, a portion of the fee’s revenue should be returned in the form of a dividend or rebate. And there would be a lot of revenue. The U.S. Treasury ran some numbers, and one scenario featured a $49-per-metric-ton fee, increasing by two percent a year over inflation. It would generate $2.1 trillion over ten years. Even in Washington, that’s serious money. If half of the revenues were rebated to low- and middle-income households, making them more than whole, there would be over $1 trillion left. That would fund President Trump’s infra­structure goal without running up the national debt. Just 1-2% of the revenue could help coal miners and their communities make the transition to industries with greater future potential. Some of the proceeds could be used to slow the unnerving growth of our national debt or to fund making the recent tax cuts permanent. Both of our nation’s nearest neighbors are moving in this direction. British Columbia and Alberta already tax carbon and, by year’s end, there will be a nationwide levy of $10 (Canadian) per ton, rising to $50 by 2022. Mexico now has a carbon tax, which, though modest, is an encouraging show of resolve to address the climate problem. In addition, Chile, concerned about the expansion of its deserts due to climate change, has enacted a carbon tax. Other countries, including Switzerland and Japan, also tax carbon, and Singapore said recently that it would impose a carbon tax next year. No politician takes pleasure in enacting taxes. Republicans are particularly uncom­fortable doing so, and since they control Congress and the White House, that’s a problem for carbon fee proponents. But some highly respected Republicans have looked carefully at this issue and concluded that a carbon fee makes a lot of sense. They include three former Secretaries of State: George Shultz, James Baker and Rex Tillerson. Supporters also include South Carolina Senator Lindsey Graham, former Treasury Secretary Hank Paulson, former Council of Economic Advisers Chairman Martin Feldstein, and Ambassador Tom Stephenson, a top venture capitalist who serves on the Hoover Institution’s Board of Overseers. College Republican groups across the country have endorsed a carbon fee and dividend approach, an indication of where the party is heading. Soon these Republicans will become less lonely. In the House of Representatives, 36 GOP members have joined the Climate Solutions Caucus. While that group has yet to take bold action, its members’ decisions to join indicate that they believe that inaction will not be a defensible response to this challenge for too much longer. No doubt they are watching the numbers change in public opinion surveys. Research in November 2016 by Yale and George Mason universities found that 66 percent of regis­tered voters support a revenue-neutral carbon tax. That includes 81 percent of Democrats, 60 percent of independents and 49 percent of Republicans. Anthony Leiserowitz, Director of the Yale Program on Climate Change Communication, says the upward trend in those who take the problem seriously and want their leaders to act is strongly tied to the fact that more people are beginning to relate to climate change as a personal issue. Plus, a growing number of business leaders believe that we need to move the price of carbon to a level that includes the various costs it imposes on society and then let the market solve the climate problem. According to CDP (formerly the Carbon Disclosure Project), 1,400 multinational companies now factor a price on carbon into their business plans, including 100 of the Fortune Global 500. Companies that price carbon internally include ExxonMobil, Microsoft, General Motors, PG&E, Delta Air Lines, General Electric, Unilever and United Technologies. A major reason for the increasing interest of Republicans and business leaders in a carbon fee is their preference for using the market, rather than a federal regulatory scheme, to reduce carbon emissions. Regulations take a long time to develop; they almost inevitably get bogged down in legal challenges, and they tend to be complex and inefficient. A carbon fee does not carry that baggage. Suppose Congress does decide that it would make sense to enact a carbon fee. Would American companies that use a lot of energy be at a disadvantage when exporting their products? No. Competitiveness can easily be addressed with a World Trade Organization (WTO)-compliant border adjustment tax (BAT) for energy-intensive, trade-exposed indus­tries. Domestic steel and aluminum would become competitive again, as would nuclear energy. Indeed, President Trump could target Chinese aluminum and steel with a WTO-sanctioned border tax, rather than triggering a global trade war with a tariff, because Chinese metals have a much higher carbon content than those produced in the United States. Alcoa would be incented to reopen their West Coast aluminum smelters, which are powered by hydro, in such a scenario. Indeed, a carbon BAT would incentivize other countries to match us, leading to a global, uniform price on carbon. President Trump could reclaim global leadership, return to the Paris agreement and challenge every other nation to match our price on carbon, knowing that in such a scenario, the United States emerges as the most competitive nation in the world for energy-intensive goods, due to our tremendous access to low-carbon, inexpensive natural gas, renewables and nuclear energy. The past 115 years have been the warmest period in the history of modern civilization, and the past few years have been the warmest years on record. Extreme weather events in a warmer world have the potential for greater impacts and can compound with other drivers to raise the risk of humanitarian disasters, conflict, water and food shortages, population migration, labor shortfalls, price shocks…and power outages. In its World Economic Outlook last October, the International Monetary Fund (IMF) warned the world’s richest nations to have a greater sense of urgency about climate change and dedicated an entire chapter to the impact of weather shocks and climate change on global economic activity. The IMF warned that coping with climate change will be one of the “fundamental challenges” of the century and called on the global community to mitigate greenhouse gas emissions before they create “more irreversible damage,” saying richer countries must help low-income economies adapt to rapidly increasing temperatures. President Trump’s June 2017 withdrawal from the Paris accord prompted many leaders around the United States to try to fill the leadership vacuum. More than 2,500 mayors, county executives, governors, tribal leaders, college and university leaders, busi­nesses and investors have joined forces, in a coalition they named We Are Still In, to declare that they will continue to support climate action to meet the Paris Agreement. In September, the Global Climate Action Summit, hosted by the state of California, will be the first global climate summit to focus on the role of business leaders, state and local elected officials and other leaders. “This is the moment to signal to world governments that they need to go further too,” stated We Are Still In. We can all help promote discussion of a carbon fee to put a realistic price on carbon emissions. The more that influential citizens draw attention to the benefits of carbon pricing, the more likely we are to see action—in this country and beyond our borders. The next Conference of the Parties (COP 24) to the UNFCCC will take place December 3-14 in Poland, and it is important that we see evidence there of growing momentum. President Trump has an unparalleled opportunity to seize global leadership on this challenge and simultaneously fund the infrastructure investment, enhance U.S. manufactur­ing competitiveness and strengthen the competitive­ness of U.S. metals industries. He can do so by calling for a global, uniform, significant price on carbon. Yale Program on Climate Change Communication and George Mason University Center for Climate Change Communication. Politics & Global Warming, November 2016. The full report is available for download at the following URL: http://climatecommunication.yale.edu/wp-content/uploads/2016/12/Global-Warming-Policy-Politics-November-2016.pdf. Daniel R. Coats, Director of National Intelligence. Statement for the Record: Worldwide Threat Assessment of the U.S. Intelligence Community. February 13, 2018, p. 16. Access the full report by visiting: https://www.dni.gov/files/documents/Newsroom/Testimonies/2018-ATA---Unclassified-SSCI.pdf. To learn more about We Are Still In, visit: https://www.wearestillin.com/about. U.S. Energy Information Administration. “U.S. energy-related CO2 emissions expected to rise slightly in 2018, remain flat in 2019.” February 8, 2018. Visit: https://www.eia.gov/todayinenergy/detail.php?id=34872. Brady Dennis and Chris Mooney. “Countries made only modest climate change promises in Paris. They’re falling short anyway.” The Washington Post. February 19, 2018. Jonathan Tirone. “Climate Rulebook Likely Done This Year, With or Without U.S.” Climate Changed. February 19, 2018. Visit: https://www.bloomberg.com/news/articles/2018-02-19/climate-rulebook-likely-done-this-year-with-or-without-u-s.